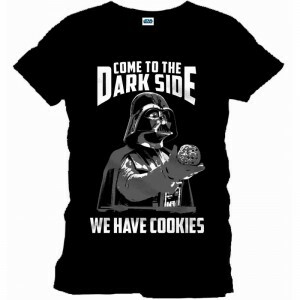 Put on this Darth Vader t-shirt, come join him to the dark side and have some cookiew while you're at it. This black t-shirt is 100% cotton and 100% dark side of course! 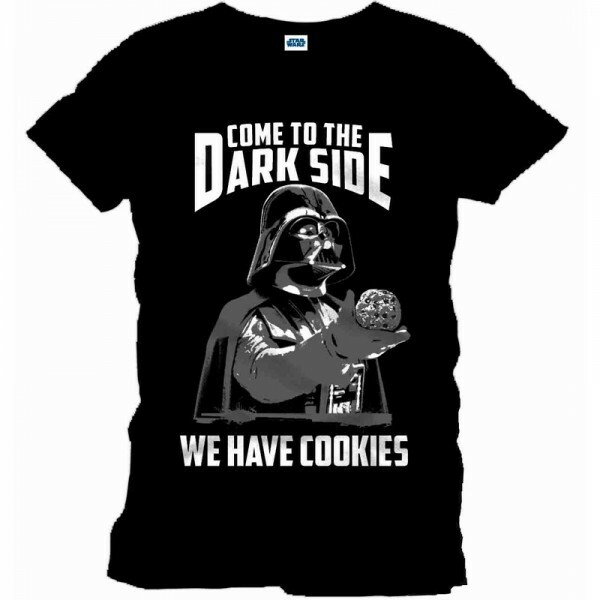 Si vous choisissez de recevoir votre "Darth Vader black t-shirt Come To The Dark Side We Have Cookies" via Lettre Suivi, les frais de ports seront seulement de 2,95 € ! Ce Darth Vader black t-shirt Come To The Dark Side We Have Cookies est en stock dans les tailles S/M ! La livraison est donc possible entre le 26 et le 27 Avril via Colissimo pour toute commande passée aujourd'hui.